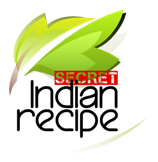 Collection of Quick & Easy Recipes submitted by home makers, mothers, grandmothers & Indian food lovers.Top Quick & Easy Recipes from Indian kitchen across various regions of India. ग्वार फली की नई सब्जी पावभाजी पंच के साथ . . .